There’s money in the junto and I’m about to share exactly why that’s true. It doesn’t matter what form a junto takes — I’ll give you several examples — the junto delivers the results you want and is easier than you think. You might be interested to hear about Ben and what he did. Ben was special, because at the age of 21 he organized a group of friends to provide a structured form of mutual improvement — not a typical interest of 21 year olds. The group, initially composed of twelve members, called itself the Junto. Ben was an outgoing, social kind of guy and had gotten to know some business people..
Ben’s personality, intelligence and charm attracted many unique and remarkable people and from the people he met he picked the first members of the Junto. The members of the Junto were drawn from a variety of occupations and backgrounds, but they all shared a spirit of curiosity and a desire to improve themselves, their community, and to help others. The club met Friday nights, first in a bar and later in a house, to discuss moral, political, and scientific topics of the day. The first members included business people of all types, printers, surveyors, a cabinetmaker, a clerk, and a bartender and although most of the members were older than Ben, he was clearly their leader. You may have heard of Ben before because, Ben Franklin, in 1727 founded the Junto that evolved into the American Philosophical Association and helped establish the first U.S. lending library as well as an academy that evolved into the University of Pennsylvania. The Junto was essentially a mastermind group. Andrew Carnegie, one of the most famous leaders of industry of the late 19th and early 20th centuries, and a Scottish immigrant who became the richest man in the world, believed participating in a mastermind group to be an essential ingredient for success. Most often we hear the name of Napoleon Hill associated with mastermind groups. While Hill clearly didn’t invent the idea, he can certainly be given credit for promoting the concept of a mastermind alliance. Mastermind Groups today take a number of forms. My Secret Inner Circle is an on-going, completely on-line mastermind which started with 50 hand-picked thought leaders. 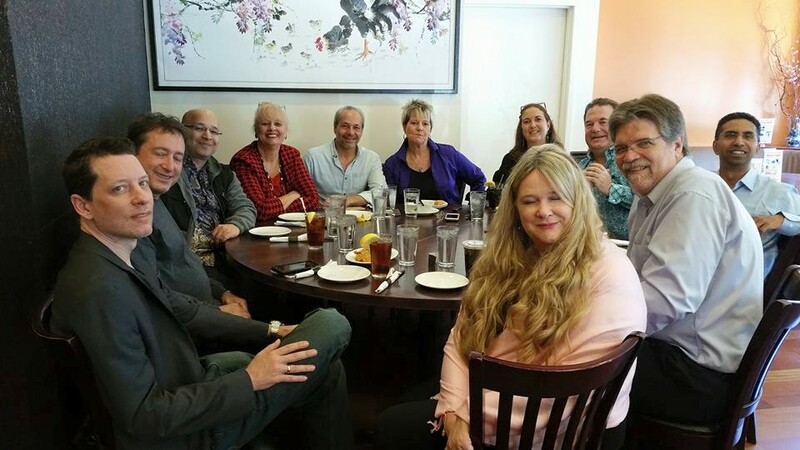 These are the people I wanted to advise ME and after a year or so limiting it just to the original hand-picked group we decided to add other people that the Inner Circle members wanted to include by invitation only. Many of the speakers and experts who are on faculty at my events are part of this core group and help each other within the group to create long-term relationships and give world-class advice. We started with a life-time membership of $500 and it WILL be doubling soon, but it’s by invitation only now, so if you are interested in being in the group contact me and we can determine if it’s a good match for you. Another on-line mastermind that I’m participating in is the Advanced Marketing Minds Facebook Group that I’m doing with Richard Weiler. If you are looking to learn advanced marketing strategies and tactics, this online group is perfect for you. It’s more about learning the latest tactics, but the relationships are crucial to develop there too and we are planning some very special projects that you can take part in. If this seems like a perfect match for you, just contact me and let me know. It’s even better when groups get together in person! Some groups come together for a single day. For instance, my One Day Intensive Events are a combination of small group mentoring combined with a one day mastermind in which each person in the group brings their ideas, projects, opportunities and challenges and we work together to create significant progress and start real relationships in the span of about 8 hours. Many people who have attended these One Day Intensive Events have returned many times to follow-up, re-focus and re-evaluate their progress, because they clearly see the value they get out of these low-commitment, high-focus and intensity opportunities for rapid progress. I personally love these one day experiences, because it doesn’t matter where you are right now. With a One Day Intensive experience we take you from where you are at the moment with the entire group working together to get to to an even better place. Unlike some selective mastermind groups anyone can attend a One Day Intensive Event, because we start where YOU are right now. The Platinum Mindset Mastermind — Here is the Best Option. Successful people have very busy lives and to be blunt, they usually want to mastermind with people who are at or above the level they are at right now. That’s why the mix of a group like a group like this is so important. This Mastermind is a hand-picked, deliberately matched, very high level, for high achievers and limited to 6-12 members. They are already operating at a very high level. They will contribute in a powerful way to the group. They will match the spirit and goals of the group. The investment to be in the group is $10,000 per year. Imagine 6 to 12 of the people YOU most want to work with in a group that meets in person three times a year for a day or two on an on-going basis with an online platform for maintaining those relationships in between the live events, plus an options 4th event just for fun. We will decide as a group exactly where to hold the events, how to schedule them and what format the events will take. I handpick people for this group one by one, because there’s a nagging desire in my brain to take things up a notch. A longer time-frame, not less. Okay, not exactly a marriage, but at least a year long-relationship. At the end of the year, we can decide if we want to extend it, but here’s the level of commitment. All invested serious entrepreneurs who are hand-picked, for quality, positive generous spirit, clear synergy and high commitment level. I have a number of people committed to this group and if I told you who they were, you would be impressed. The bottom-line investment is $10,000 per year for the year’s commitment. There are only 12 spots maximum because any number over would be too big. We decide on dates as a group. In between the 3 live events we will maintain our relationships online and via webcasts. If you want to be considered for the group, you need to let me know now and we need to have a serious conversation to see if it’s a good match for you.